Masking is a technique that lets you display selected portions of an element or an image on the screen while hiding the rest. 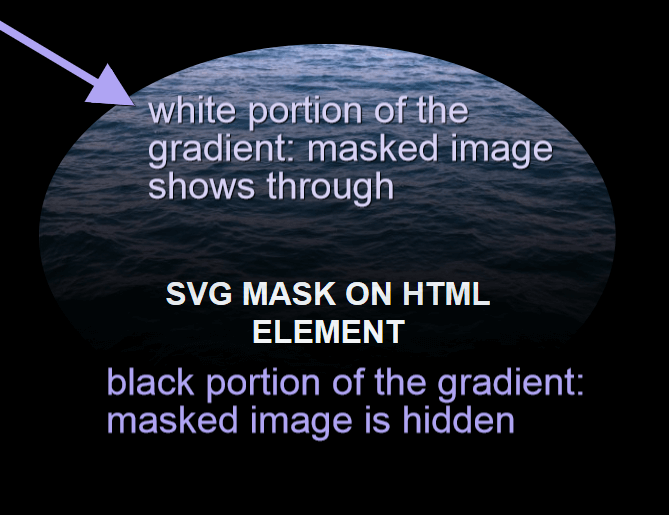 Web developers can use this technique in the browser via the mask property and the SVG mask element. These features allow you to display masking effects on images and other elements in the browser without using any kind of image editing software. In this article, I’m going to show CSS and SVG masking capabilities in action, also making sure to include some info about current browser support issues. At the time of writing, most code samples work only in WebKit browsers while SVG-based masks seem to enjoy wider browser support. Therefore, if you’d like to try out the examples, I recommend you use a WebKit browser like Chrome. You can achieve masking effects on the web using clipping or masking. Clipping involves laying a closed vector shape, like a circle or a polygon, on top of an image or an element. Any parts of the image behind the shape will be visible, while any parts outside the boundaries of the shape will be hidden. The shape’s boundary is called the clip path, and you create it using the clip-path property. Masking is done using a PNG image, CSS gradient, or an SVG element to hide some parts of an image or other element on the page. 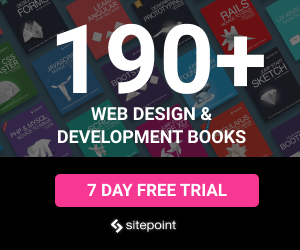 You can accomplish this using the CSS mask property. In this article, I will focus exclusively on masking with the CSS mask property and the SVG <mask> element. mask is the CSS shorthand property for a whole bunch of individual properties. Let’s take a closer look at some of them in more detail. 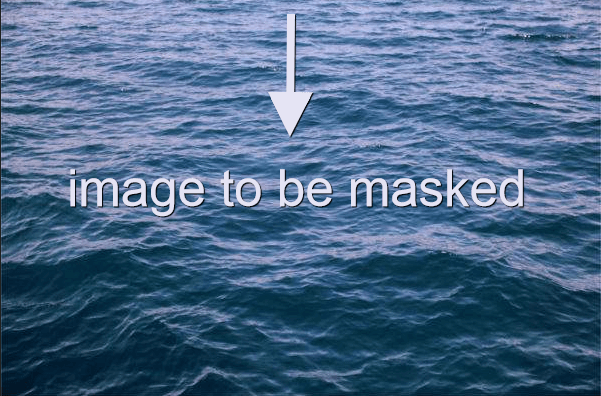 You can use the mask-image property to set the mask layer image of an element. The value none is not the same as setting no value at all. On the contrary — it still counts as a transparent black image layer. You can set mask-image to a URL value. This can be the path to a PNG image file, an SVG file, or a reference to an SVG <mask> element. You can set more than one mask image layer by adding a corresponding number of URL values separated by a comma. 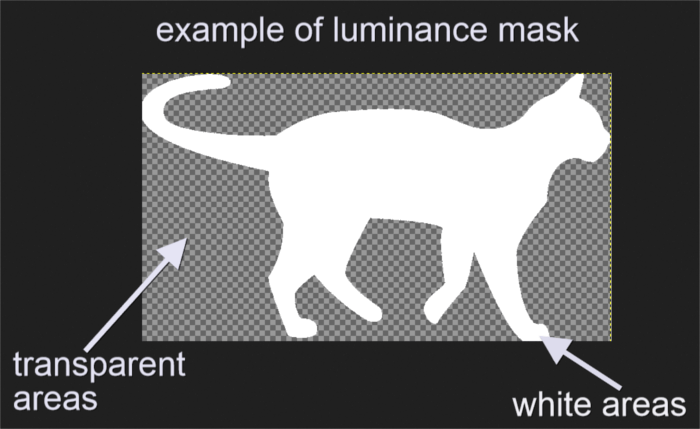 With mask-mode you can set the mask layer image to be either an alpha mask or a luminance mask. An alpha mask is an image with an alpha channel. In more detail, the alpha channel is the transparency information contained in each pixel’s data. Masking operations with the mask-mode property set to alpha will use the image’s alpha values as the mask values. 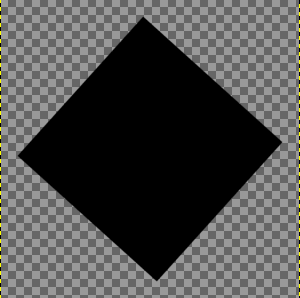 A handy example of an alpha channel is a PNG image with black and transparent areas. The masked element will show through the black portions of the mask image, which have an alpha value of one. Everything else beneath the transparent portions, which have an alpha value of zero, will be hidden. The areas of the element you want to mask, which are covered by the mask’s white pixels, will show through. The portions of the masked element covered by the mask’s transparent pixels will be hidden. Setting the mask-mode property to luminance and using the image above as my mask, will display the same result as before. mask-repeat works pretty much like the background-repeat property. It controls the tiling of mask layer images after you’ve set their size and position. no-repeat: the mask layer image is not repeated across the available space. 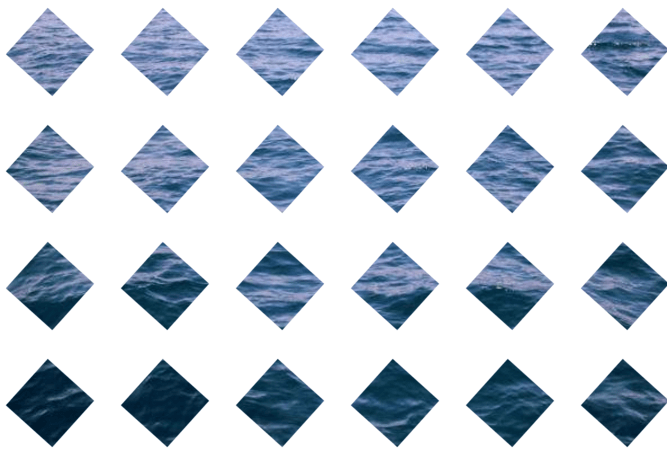 repeat-x: the mask layer image is repeated along the X coordinate. repeat-y: the mask layer image is repeated down the Y coordinate. space: the mask layer image is repeated and spaced out throughout the available area. round: the mask layer image is repeated a whole number of times across the available area. If a whole number doesn’t fit in the available space, the image is scaled until it does. You can position a mask layer image using the mask-position property. You can set this property to the same values you would use for the more familiar CSS background-image property. Its initial value is center. You can quickly set the size of your mask layer image using the mask-size property, which accepts the same values as the more familiar CSS background-size property. See the Pen CSS Mask Examples by SitePoint (@SitePoint) on CodePen. As explained above, you can use more than one mask layer on the same element by separating each value of the mask-image property with a comma. The layers get stacked one on top of the others with the last layer displaying first on the screen. In the snippet above, mask2.png is layered on top of mask1.png. intersect: displays portions of mask2.png that overlap mask1.png. However, WebKit browsers, which are the only kind of browsers supporting CSS masks, seem to display nothing on the screen, even when the non-standard composite source-in keyword is used. exclude: displays portions of mask1.png and mask2.png that don’t overlap. Once again, because the standard keyword has no support yet, you’re much better off using the compositing operator XOR. See the Pen CSS Mask Compositing by SitePoint (@SitePoint) on CodePen. You can set all the properties that control CSS masking operations in one go using mask. mask-origin and mask-clip work like the more familiar background-origin and background-clip properties. Although you can reorder the properties in the mask shorthand, you need to set the mask-size property after the mask-position property, separated by the “/” symbol. Also, setting mask-size without setting mask-position will result in an invalid declaration. Finally, since any value you fail to specify on the mask property is set back to its initial default value, using mask comes really handy when you need to reset any of the individual properties. Scalable Vector Graphics, or SVG for short, is an XML-based language to mark up graphics. You can use a <mask> element inside an SVG document to add masking effects to HTML elements and other SVG graphics. One more cool thing you can do with SVG is masking other elements on the page using text. Let’s look closer into each of these possibilities. In the code above, I’ve included a <mask> element with an id of mask1. Inside the mask I’ve placed a black and white gradient with an id of grad and a circle shape which uses the gradient as its fill color. Finally, I’ve referenced the SVG <mask> element’s id value in the CSS mask property. This applies the masking effect to the image on the page. Notice how the portion of the circle mask filled with the white shade of the gradient lets the masked image show through. Conversely, the portion filled with the black hue of the gradient hides the masked image. Here’s a live demo of this on CodePen (remember, it will only work on Firefox!). See the Pen Masking with an Inline SVG mask Element by SitePoint (@SitePoint) on CodePen. You can use the same SVG <mask> element from the previous example, but this time to mask an SVG graphic rather than a HTML element. The advantage is that browser support is way better, including WebKit browsers and the latest IE. The result is pretty much similar to the previous example, only this time you can view it on all major browsers. See the Pen SVG Mask on an SVG Element by SitePoint (@SitePoint) on CodePen. See the Pen SVG Text Mask by SitePoint (@SitePoint) on CodePen. 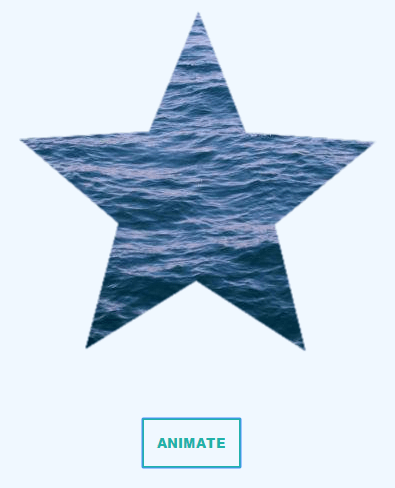 You can animate mask-position and mask-size using CSS transition and keyframe animation. Below is a basic keyframe animation example of a star-shaped PNG mask image. 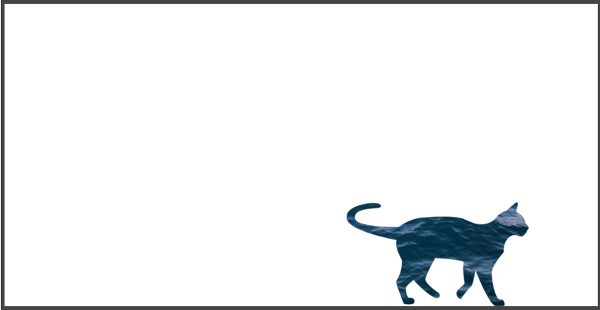 See the Pen Animating with CSS Mask by Maria Antonietta Perna (@antonietta) on CodePen. 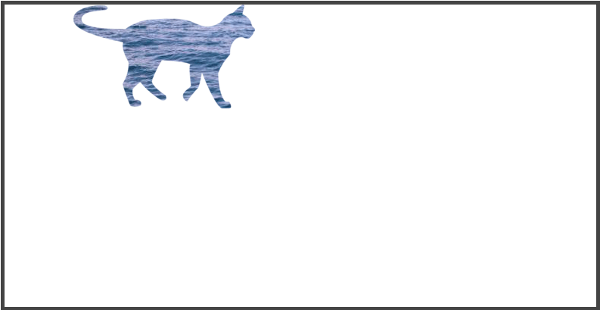 You can add masking effects on an <img> tag using the SVG <mask> element and then animate it with CSS. See the Pen Animate SVG Mask on HTML Element by SitePoint (@SitePoint) on CodePen. See the Pen Animating SVG mask on SVG Element by SitePoint (@SitePoint) on CodePen. PNG or external SVG image masks on HTML elements using the CSS mask property work on WebKit browsers only with the -webkit- vendor prefix. Inline SVG mask element on a HTML element is supported only in Firefox. Inline SVG mask element on an SVG element is supported in WebKit browsers, as well as Firefox and latest Internet Explorer. This great CodePen demo by Yoksel offers a visual illustration of the state of the art as far as browser support goes. Alan Greenblatt makes available a GitHub repository where he goes into the details of which CSS graphics-related property is supported by which browser. 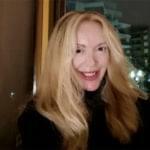 The browser support compatibility table on the Can I Use website offers further details and links to more resources. Although current browser support for CSS mask is not great, if you use this feature as an enhancement on a few decorative elements, users of non-supporting browser won’t even notice they’re missing out. 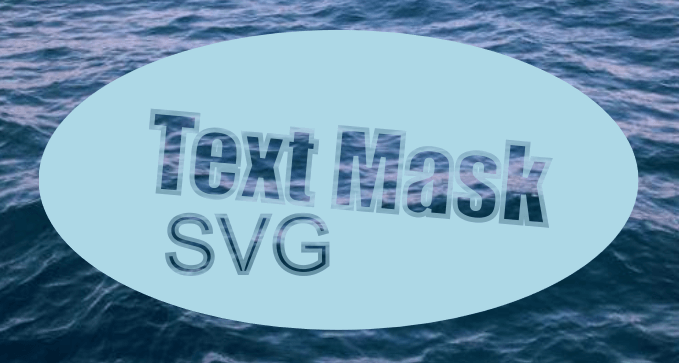 Finally, applying masking effects on an SVG graphic with the SVG <mask> element enjoys the widest support on modern browsers and looks great on the web. CSS Masking by Dirk Schulze. 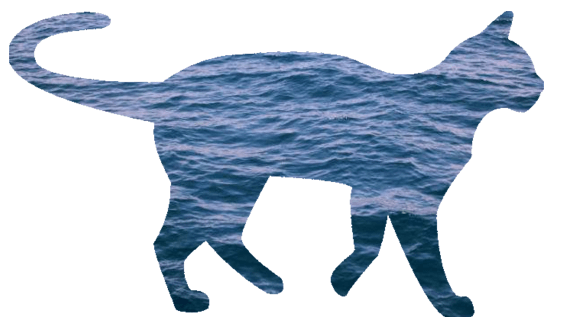 Do you know of a cool masking effect on the web you’d like to share? Hit the comments box and let me know.